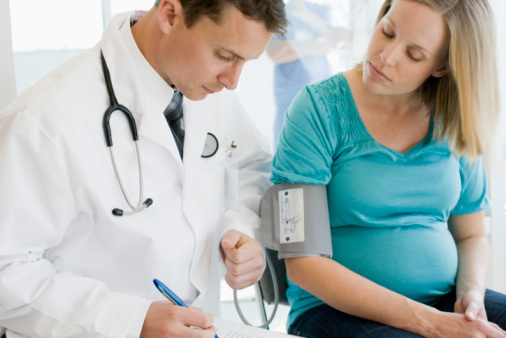 Home » Heart Health » Blood Pressure » Is Your Doctor the Reason for Your High Blood Pressure? We put our complete trust in our doctors—but should we? For years, we’ve known about a health problem that doctors actually create, called white coat syndrome, or white coat hypertension. If you suffer from this, it means you become nervous around your doctor or the medical visit itself, your heart rate increases, causing your blood pressure to be higher than it normally is, which can result in doctors prescribing medications that you don’t need. In fact, a new study is showing that blood pressure readings are much lower when taken by a nurse, just moments before it’s taken by a doctor! The research, conducted in part by the University of Exeter in the United Kingdom, analyzed data from different settings in 10 countries to conclude blood pressure increased by an average of 7/4 mmHG when measured by a doctor, compared to a nurse. They looked at over 1,000 patients and the data indicates a clear need for a change in procedure. The increase is substantial enough to inaccurately push some patients from a normal blood pressure to high blood pressure, which can result in unnecessary medication or unneeded anxiety if the patient is asked to monitor their blood pressure at home. To get the most accurate reading for your blood pressure and save yourself from being wrongfully medicated or worried for no reason, there are a few things you can do. If you want, you can buy your own blood pressure monitor to use daily. This way, you can keep a record to note abnormalities and have a solid idea of what your real blood pressure is. Second, you can request the nurse take your blood pressure before the doctor enters the room. This way you avoid the spike caused by the white coat effect. Lastly, you can ask the doctor to take your blood pressure at the beginning and the end of your appointment. After a few moments of talking and while you are into the flow of the checkup, you’ll likely become more comfortable and the reading will be more accurate. For example, last time I went for a checkup, my blood pressure was a little high when taken at the beginning of the appointment. Following the checkup, I was once again connected to the blood pressure monitor. The doctor left the room and it took seven consecutive readings. When he returned and took a look, he told me it had dropped and things looked normal. White coat syndrome is real. To get the most accurate blood pressure readings and potentially save yourself all kinds of trouble, compare your blood pressure reading when taken by yourself, a nurse, and a doctor before you rush to take meds. University of Exeter, “Doctors Raise Blood Pressure in Patients,” March 25, 2014; http://www.sciencedaily.com/releases/2014/03/140325210635.htm, last accessed March 27, 2014.